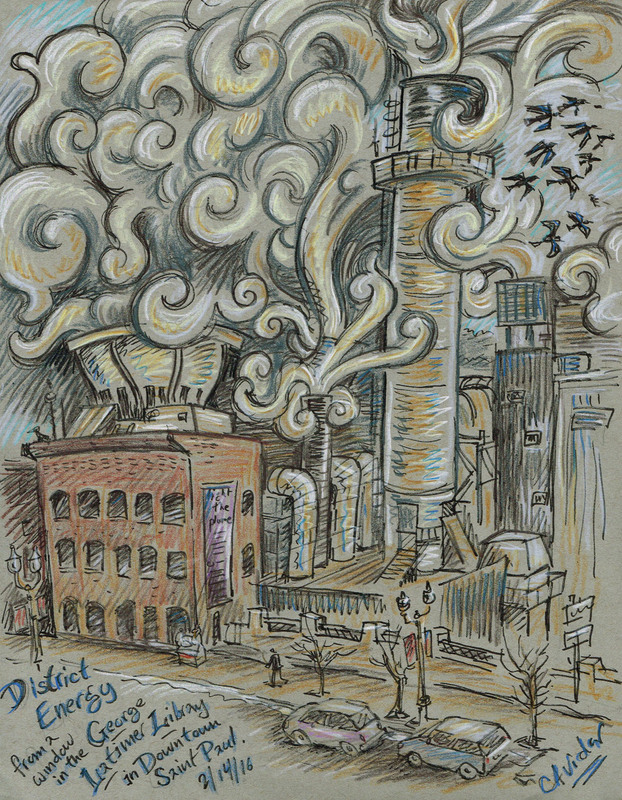 There's a building on West Kellogg Boulevard next to the Science Museum in Saint Paul, Minnesota with a big, white plume of steam coming out of it that recently became an art project. The building is home to District Energy, a private, non-profit company that turns waste fuel, also known as biomass, into electricity, heating and cooling for hundreds of buildings in downtown Saint Paul. 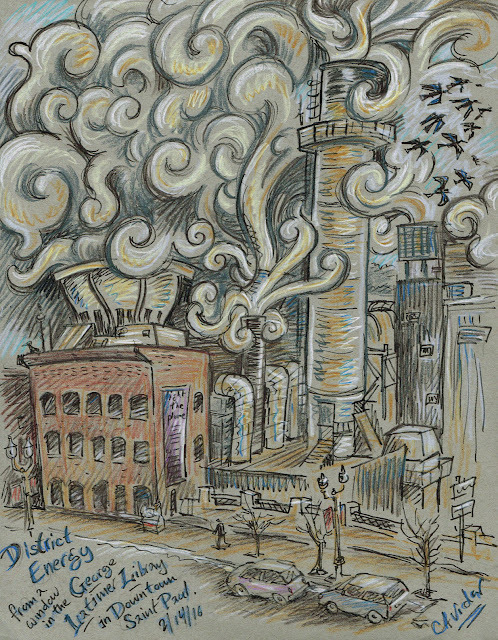 A while back, I sketched the District Energy building from a window in the George Latimer Library across the street. I wondered what sort of machinery was inside of the building that created that big billowing cloud and whether I could sketch inside it. 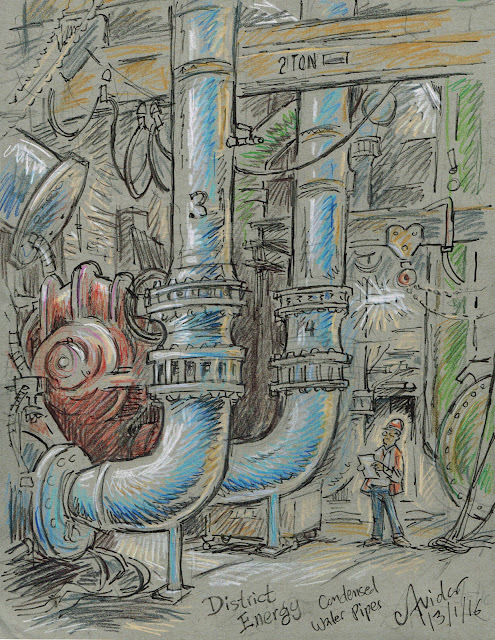 I contacted the folks at District Energy and they were gracious to schedule two sketching sessions inside the plant. 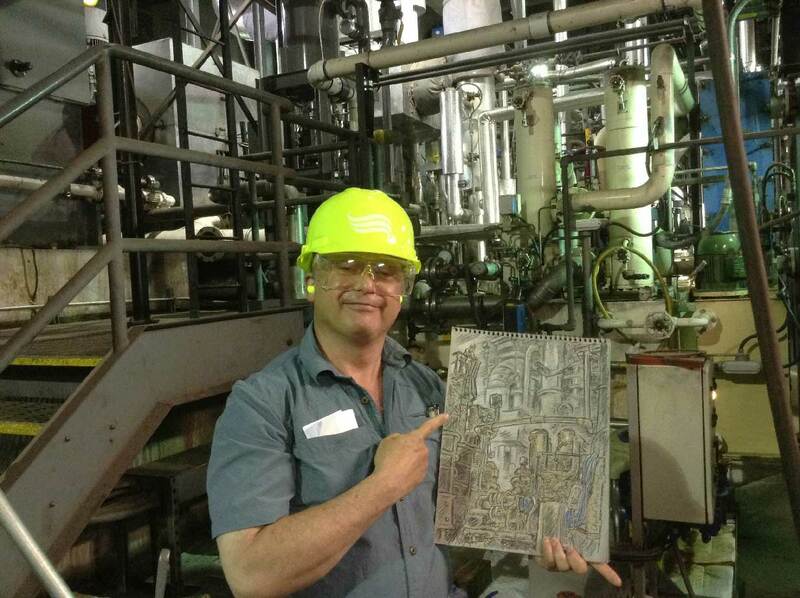 I had to wear a hard hat, protective eyewear and ear-plugs as I sketched. I love sketching machinery and all things industrial, so I was very excited to find enormous machines of all types inside the building. 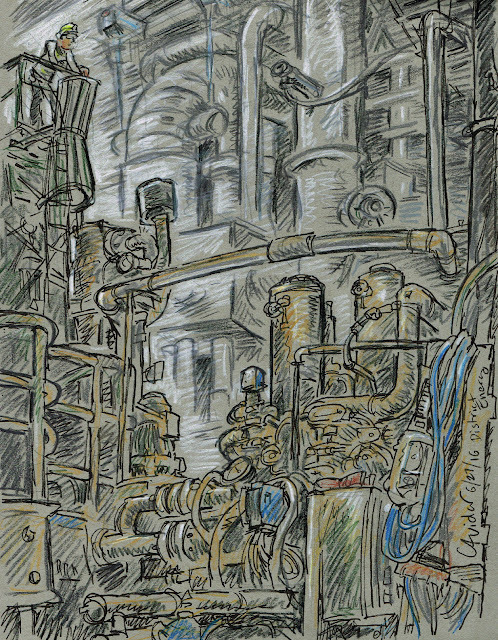 The plant was clean and well-lit, but at times really noisy and really hot – definitely an extreme sketching experience! I want to thank Lisa Eng-Sarne and Nina Axelson for showing me all the amazing parts of the building and all the people who work at District Energy for keeping our neighborhood buildings comfy all year round. Ken is an illustrator, cartoonist, sketch artist, writer, artist. Find out more about him HERE. 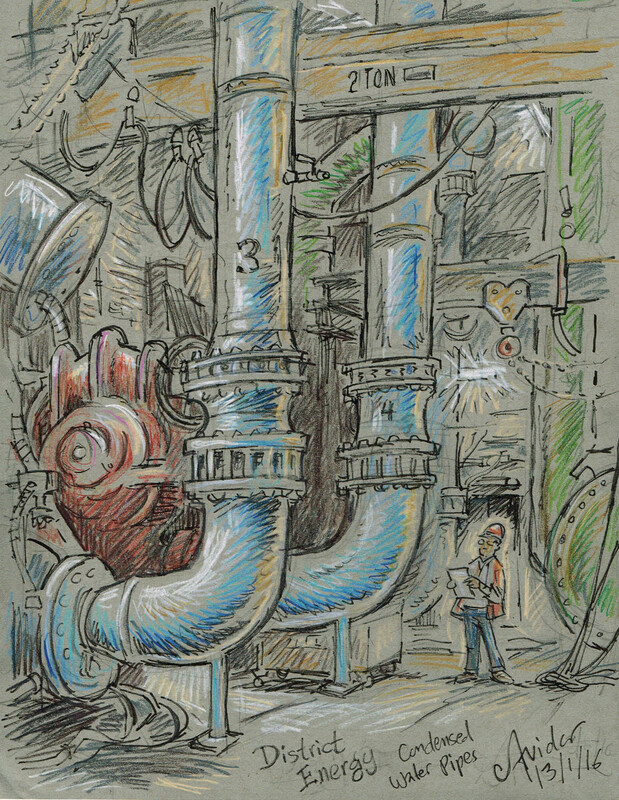 A version of this was first posted in Urban Sketchers>Twin Cities, USA.